Golf course management is not rocket science. Your standard management company will extol their virtues with catchy phrases or clichés, hoping to get your attention. Very few will deliver on their promise because their goals don’t necessarily align with your goals. Every golf course management company will have systems in place that standardize operational controls, be it in accounting, maintenance, food, and beverage, or golf operations. But where most management companies fail (and failure occurs regularly), is in their inflexible approach to your business. Most do not possess the ability or take the time to, understand each individual golf course culture and ownership vision. At Up to Par Management, we work with ownership to understand the club culture, and will work diligently with your company team to develop a long-term strategic plan that can be implemented, monitored, measured, and adjusted where needed. We understand the difficulties many golf courses face, and our team has decades of experience to assist golf courses as they forge a new course to sustainable prosperity. At our Golf Management Companies, we do things differently, and better. Our core purpose is to Positively Impact Others, and we fulfill that commitment at golf courses, country clubs, restaurants, and hotels throughout the Mid-Atlantic and the Southeast.  Up to Par Management’s Founder and CEO, Sean Taylor is committed to developing long-term relationships with golf courses by committing to the core purpose of his company with every decision he makes. One golf course filed for bankruptcy, and the lending institution relied upon Up to Par Management to stabilize and prepare the club for sale (find the case study here). We worked with the management team in place to understand the culture of the club and the community. Through a collaborative effort, our team created a new membership drive and marketing campaign, increasing revenue by more than 20% year over year. In less than one year, the club was sold to a private investor, saving the bank millions of dollars on a potentially toxic asset. Our management company is unique because our philosophy is not like most golf course management companies. We are a hospitality company first, and a golf course management company second. We Echo Teamwork, truly care for our associates, and deliver exceptional experiences for the patrons who play the golf courses we manage. For more information on the company philosophy, click here. So when another management company gives you a pitch for your business, listen carefully to what they have to say. Then call us, and you’ll find we think, act and work differently. Yes, we are in the golf course management business, but providing over the top hospitality is what separates us from all the other management companies. We are so passionate about hospitality, we even have a separate brand for it.